PGA TOUR Media Official Doug Milne shared the following reflection about his career last week on Facebook and granted permission to publish it here. AS I TOOK A FEW MINUTES to walk around the grounds of the PLAYERS Championship today and see how far it has come, I couldn’t help but reflect on another stride made. 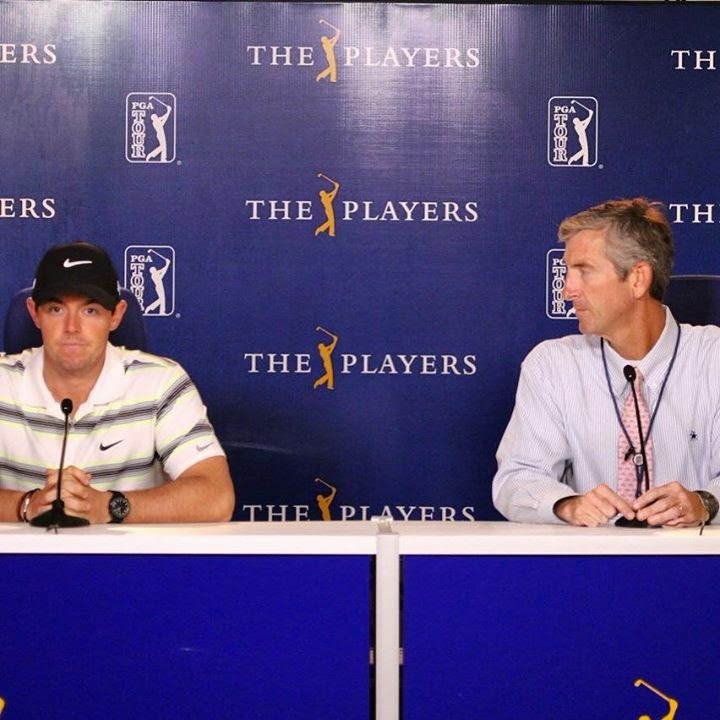 PGA Tour Media Official Doug Milne with Rory McIlroy. When I started working for the PGA TOUR, I knew nothing about golf. I didn’t know Nicklaus from Palmer, a tee shot from an approach shot. 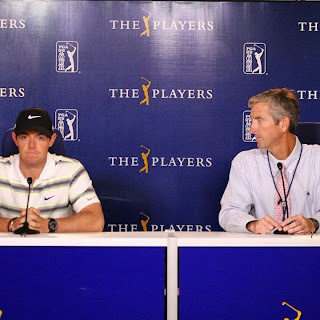 I was hired by PGA TOUR Productions, because I was told they needed a writer. The other employees knew a lot about golf, but little about how to write. I was offered minimum wage, with no insurance, no benefits and no assurance that I would ever be put on staff full time. With all the enthusiasm I could muster, I accepted the hourly position. It was a foot in the door. Those around me in that office talked openly about the dismal odds of me lasting more than a month. I spent all day of every day the first two months in a dark video room, transcribing hours of taped interviews from players. I had never heard of any of them. But I had beaten the initial odds and lasted over a month. Folks started warming up to me. Glimmers of respect began to surface. A month turned into a quarter and quarters turned into years. My mentality went from getting by to going over. After nearly two years, I was put on staff full time, worthy of insurance and benefits. I felt like I had reached a mountain top. Over those years, I was promoted a number of times to higher positions. Most of those who initially doubted me were no longer around to see my rise. I came to know the sport of golf and its players as well as any. The players came to know and respect me, too. Both feet were in the door. As a Media Official for the TOUR today, I’m proud to be among the few on the front lines week in and week out on golf’s grandest stage. Of course, there were times early on when I wanted to quit, just walk away. Sometimes discouraged, I’d remind myself this wasn’t what I had planned on doing with my life. But I didn’t walk away. I walked on and I walked up. Over time, my job at the TOUR had become an incredibly significant part of my life. It remains that way today. My first step through those doors into the unknown came in 1991, two dozen PLAYERS Championships ago. I’ve now been a part of the PGA TOUR family more than half my life. I may not have seen this coming, but I’m thrilled to have gone and claimed it. I extend a most sincere thanks to the TOUR for giving me a chance then and believing in me now. As I walked and looked around today, I realized that so much of my life parallels what my time with the PGA TOUR represents. Success in life isn’t about the road you take. Rather, it’s entirely about the one you make.